FIRE YOUR TRAINER, AND GET A DOG! Following hard on the heals of our last posting, the L.A. Times ran a piece ‘Can Pets Lead Owners to Health? , echoing our claim that walking your dog can help improve both canine and human fitness. In the blatant self-promotion category, this weekend will be a busy one for Tanner, Eugenie and me. On Saturday, August 3, from 11:30-12:30 we’ll be signing books at Barnes & Noble in Thousand Oaks, The Promenade, 160 S. Westlake Blvd., Thousand Oaks, CA 91362, (805) 446-2820. 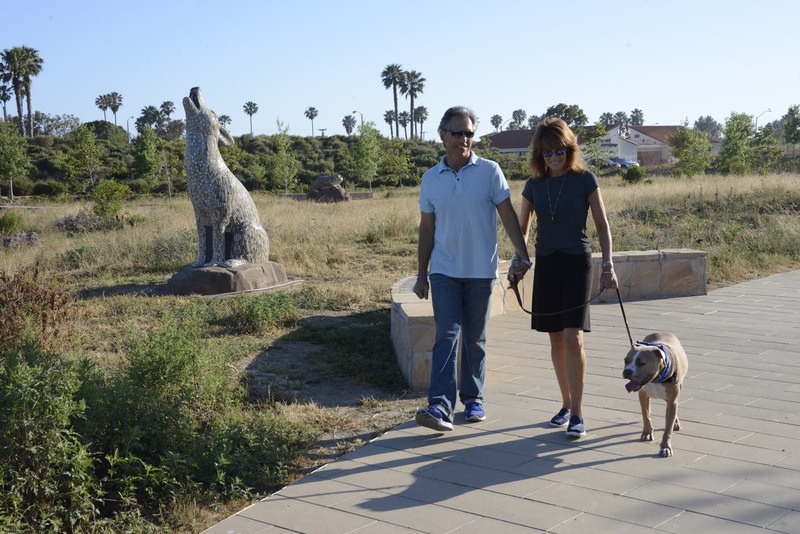 On Sunday, August 4, we’ll be serving as ‘Grand Marshals’ of Malibu’s first annual American Cancer Society ‘Bark For Life‘ fundraising walk. It will take place at Legacy Park in the Civic Center. Registration starts at 10:00 and the event will kick off at 11:00 with a speech from yours truly.